1. Werewolf and his evilwolf will attack Cronus at (188,536) on 07:00,15:00 and 23:10 server time. 2. All players will be notice in 10 minutes when the Werewolf appears! 3. Around the Werewolf, the map will be blocked by pole and when the Werewolf dead the pole will be gone. 4. All player in Cronus can join and get rewards if they stay in Werewolf and not outside the pole. 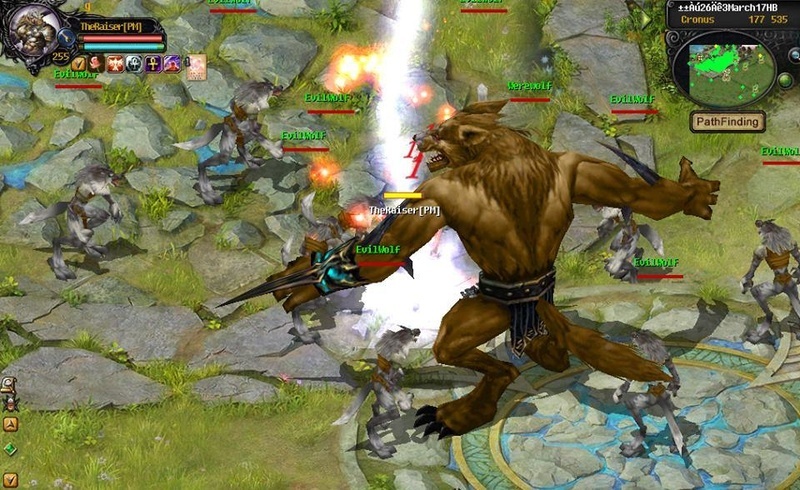 6.The last hit on the Werewolf will receive 30 SnowBall and additional 20 SnowBall. 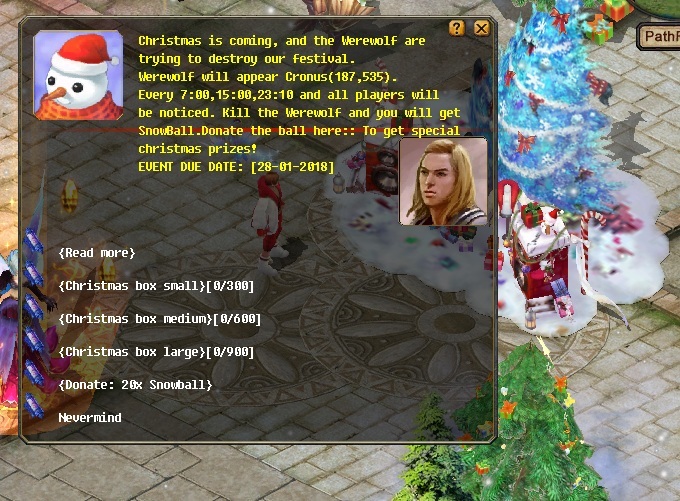 7.Player participate (around the werewolf) will receive 20 SnowBall. 1: Donate 20x SnowBall to the SnowMan at Cronus (122,501) and you will get 1x SnowMan. 2: Once 1 player donate 20x SnowBall, will be added 20x Point at the SnowMan. 3: Rewards are divided to 3:- Small,Medium and Large. 5: All players can claimed the small box use 1x SnowMan. MYRShard: Collect 30 and right click to get 5-100MYR Ticket! (All shards can get from ChristmasBox!